Terry Wright passed away suddenly on Saturday morning doing what he loved, he was on the golf course with friends. 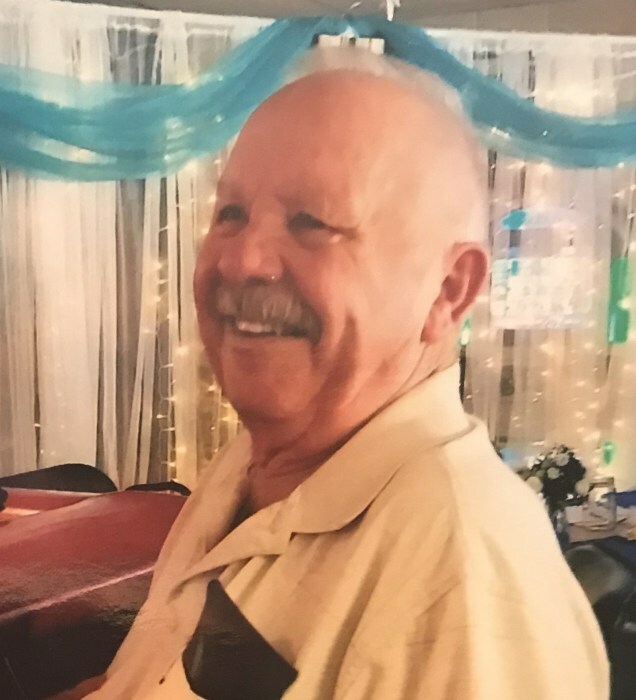 Terry was an avid golfer and fisherman and spent his afternoons at the Ramona VFW, where he volunteered his time cooking for their breakfast events and barbecuing for dinner events. Terry was born in Tacoma, Washington, the oldest of three boys, to Robert and Barbara Wright. Terry attended Massey Hill High School in Fayetteville, NC where he enjoyed playing football, until he joined the Army in December of 1963. He served for three years in the Army, earned his airborne wings and was deployed during the Vietnam War. He made his first skydiving jump at the young age of 15, alongside his father. Terry moved to Ventura, California in December of 1966 where he lived and worked for Getty Oil, Texaco, Chevron and later Shell. It was in Ventura that he raised his family with his first wife, Kaye Hyman Mirabelli. Terry loved to water ski and swim and was a talented diver. He enjoyed camping, boating and of course fishing and playing golf. Terry loved car racing and was a big Nascar fan. He had the opportunity to attend the Indy 500 several years in the 1990’s where he made so many wonderful memories he cherished. Terry spent many years volunteering his time at Montalvo Little League as a coach, umpire and groundskeeper. Texaco transferred Terry to the San Diego area in the mid-1990’s and he and his second wife, Susan Carey (deceased), made their home in Ramona, CA, where he later retired. He was still very active in his retirement and continued to work for Weed Eliminator Inc. Terry loved to socialize with his friends at the VFW and loved to BBQ for friends and family. He also loved old western movies and was particularly fond of John Wayne. Terry spent more than 18 years with his love, Tena Swader, before her passing in May of 2017. Terry was preceded in death by his father, Robert, and his brother, Patrick Wright (Lyn). He is survived by his mother, Barbara; his two children, John Wright (Denise), Jamie Valencia (Jimmy); his 4 grandchildren, Drew Wright, Taylor Wright, Dylan Riley and Danica Valencia; his great grandson Dusty Gelakoska; and his brother, Steve Wright (Beth). Terry is also survived by his extended Swader family, who love and miss Terry and “Mamma” tremendously. A Celebration of Life is planned for Saturday, December 1st, at 12 pm at VFW Post 3783, 2247 Kelly Avenue, Ramona, CA 92065. A private burial will be held at Nuevo Memory Gardens at a later time. In lieu of flowers, remembrances can be made in his name to VFW Post 3783.